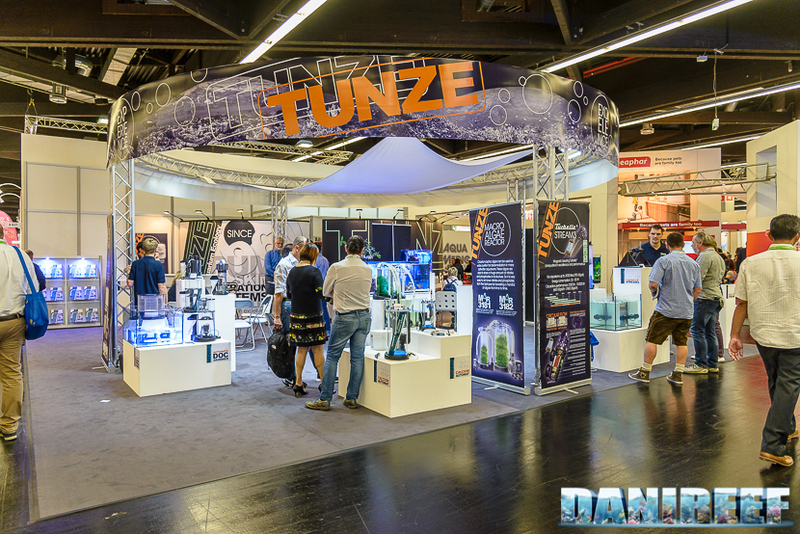 As we have come to expect from them, Tunze‘s booth in Pavillion 4 this year was impressively large. They had a lot of news to share, and we’ll present it all to you here. 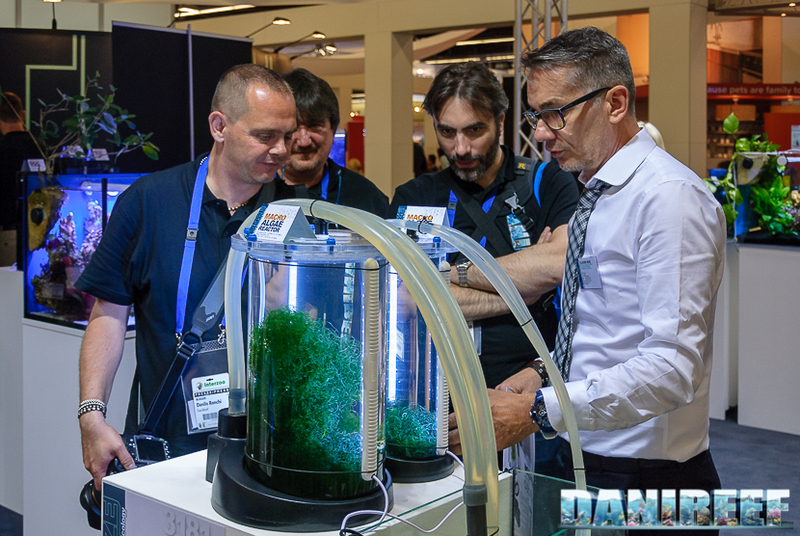 Claude Hug, Tunze’s director, welcomed us to the booth, and shared with us all the latest news from the German company. 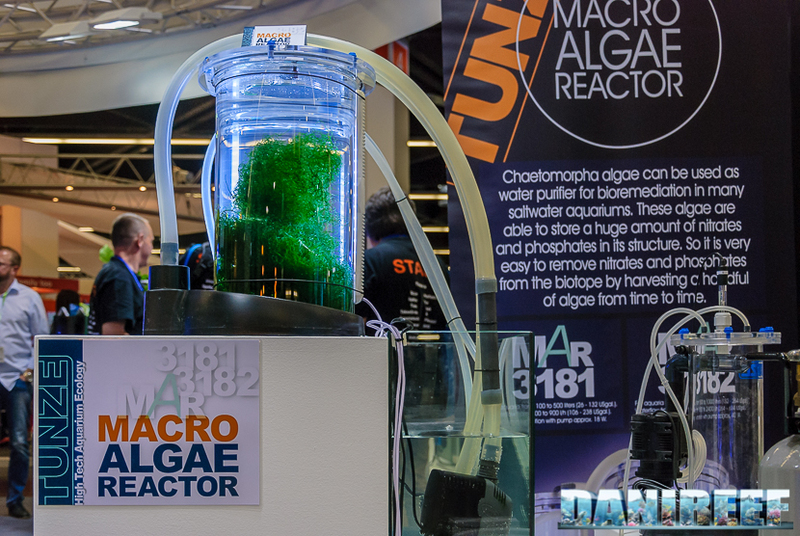 The acronym MAR stands for Macro Algae Reactor; they are reactors for macroalgae. The two reactors seem very well-built and extremely functional. And, dulcis in fundo, they’re also beautiful to look at. 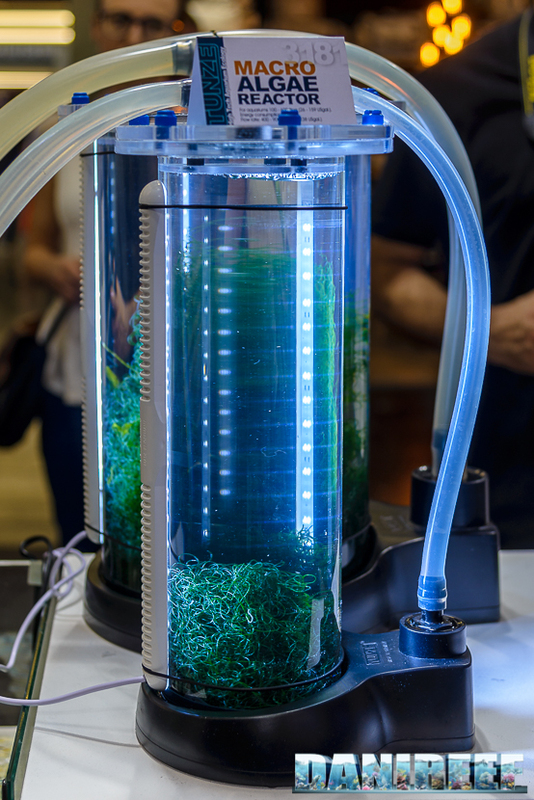 It has a classic style: A cylindrical reactor where the user inserts they macroalga they want to use (usually Chaetomorpha), an LED lamp, and a pump in to bring water into the reactor from outside. The pipes are made of silicone. The LED lamp is 10 watts in each of the reactors. 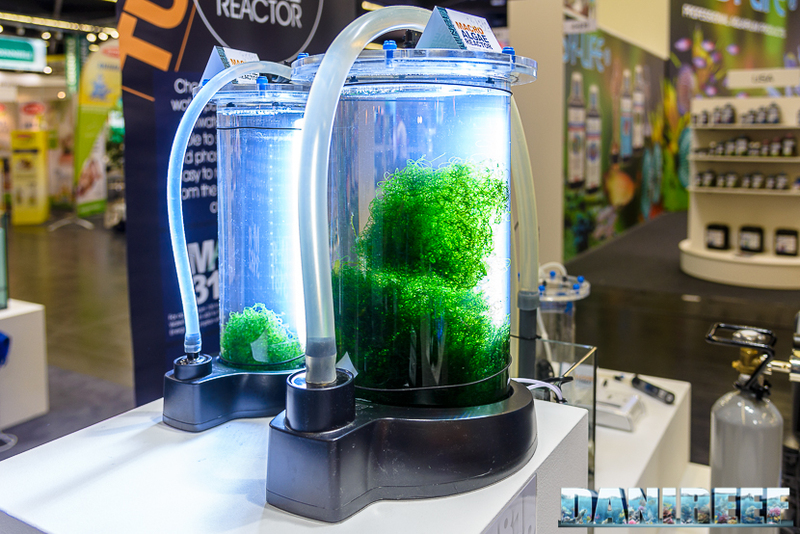 There’s something different from the usual reactors: the Chaetomorpha inside the reactor is not fixed, as we expected, but it is able to move and rotate, depending on the flow rate. 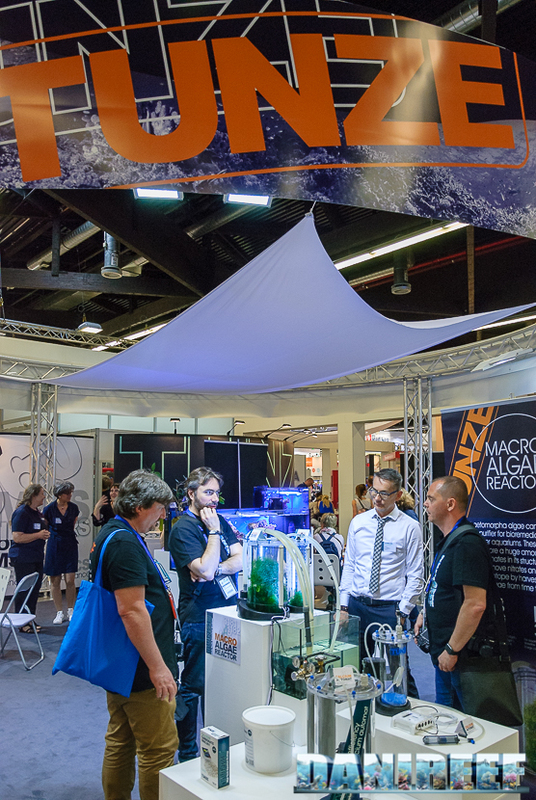 All other reactors that we’ve seen have always had a central lighting, while the Tunze product’s is placed laterally, leaving the inside free. Unfortunately is not possible to appreciate this in pictures, you need to see it in person. From this picture you can appreciate the dimensions of the two reactors in comparison with the human figures. 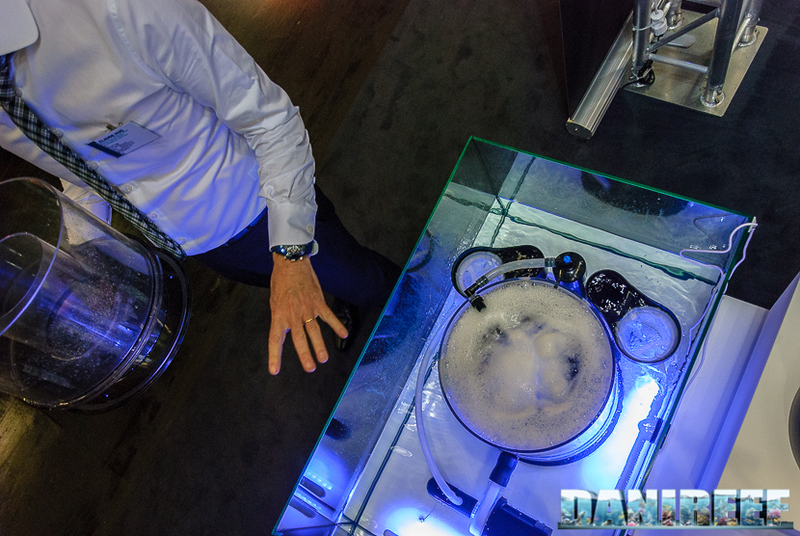 This reactor really impressed us, and we’d love to have one ourselves! 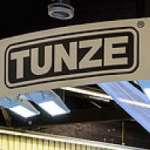 Tunze, we already know, never stops improving its products. 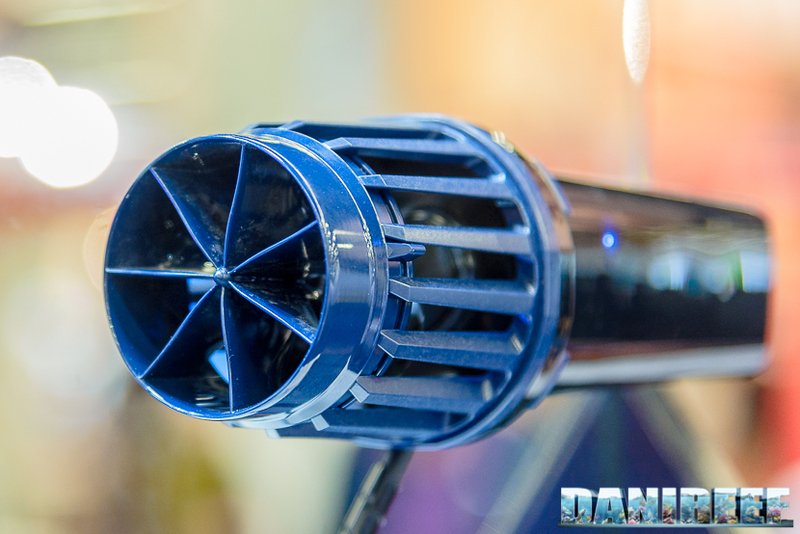 And the deflector for laminar flow is no exception. The deflector has to be mounted on the protection grill and gives the anterior exit of the water a concentrated laminar flow. The difference between the flow with and without the deflector was obvious – the flow is more concentrated and it can go (much) further. The deflector at the fair was free for anyone who asked, and in the catalog it should cost 10 euro ($11.50 USD). Another object that captured our attention was the monstre skimmer. 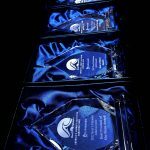 This is the first time Tunze has produced a skimmer of this size, and they did it at a more moderate cost compared with the competition. 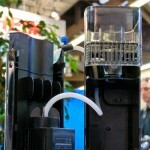 We’re referring to the Automatic Doc Skimmer 9460. 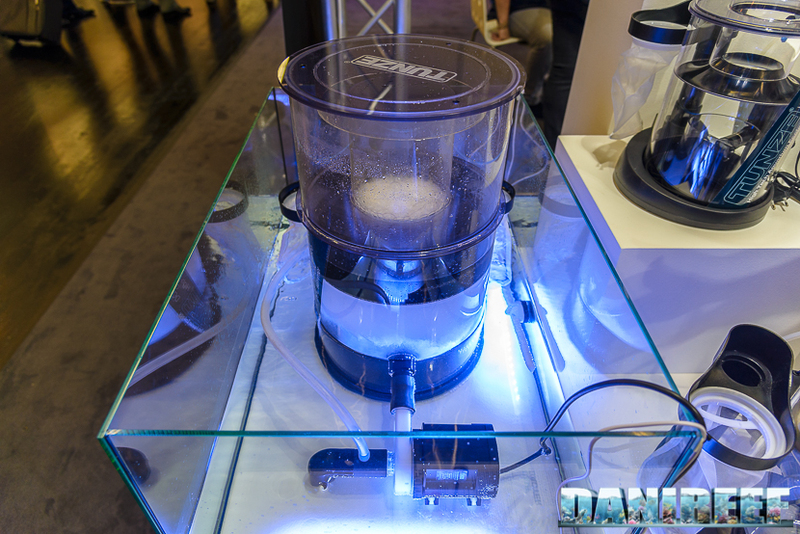 It can treat 5,000 l/h of air with just 58 watt of consumption. An enormous beast that should cost around 2,000 euro ($2,330 USD). 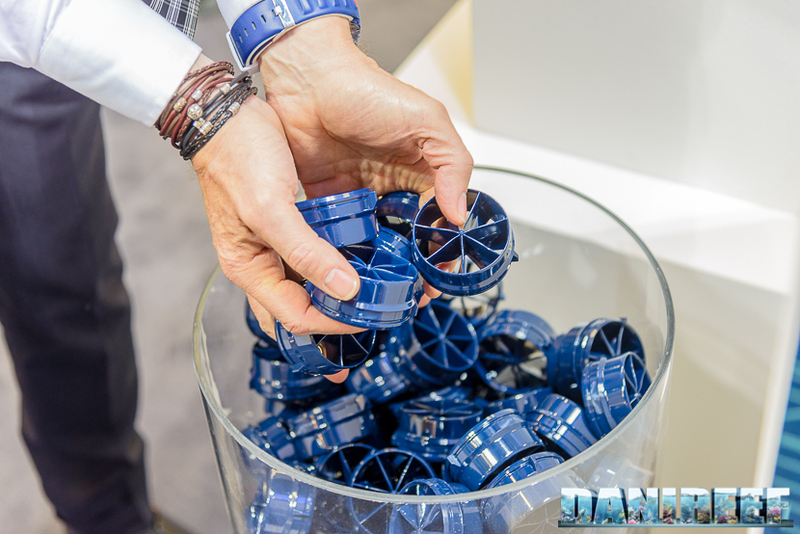 It is definitely a more affordable price compared to the solutions proposed by other producers. 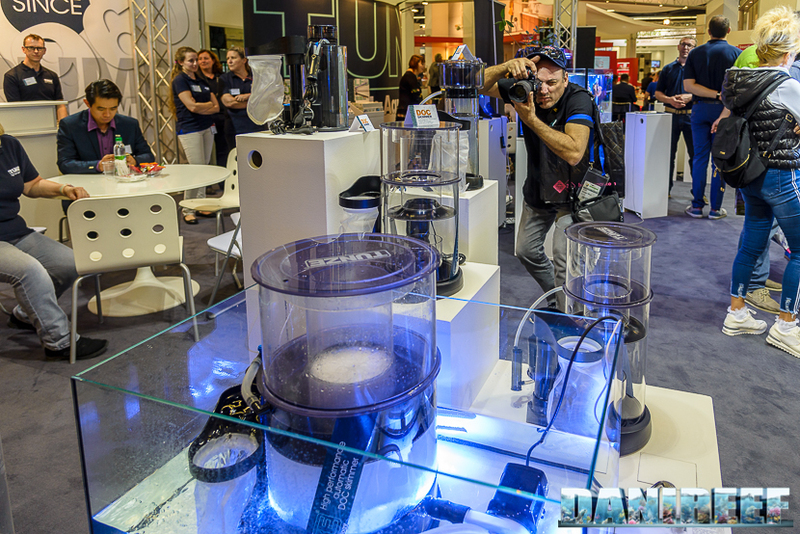 It would be interesting to have an aquarium in which the skimmer could be tested and compared to other models, in order to analyze its performance. 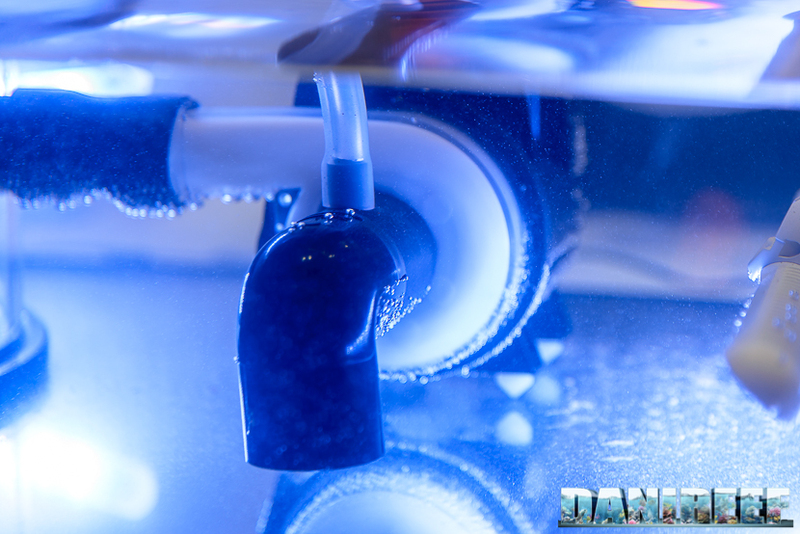 The characteristics are similar to the Tunze Doc Skimmer 9415we reviewed about a year ago: the automatic calibration, the overflow blocked by the particular construction, the filtering of the water, and so on. The enormous glass can be taken out easily, but it sure is heavy. Notice the double drain. 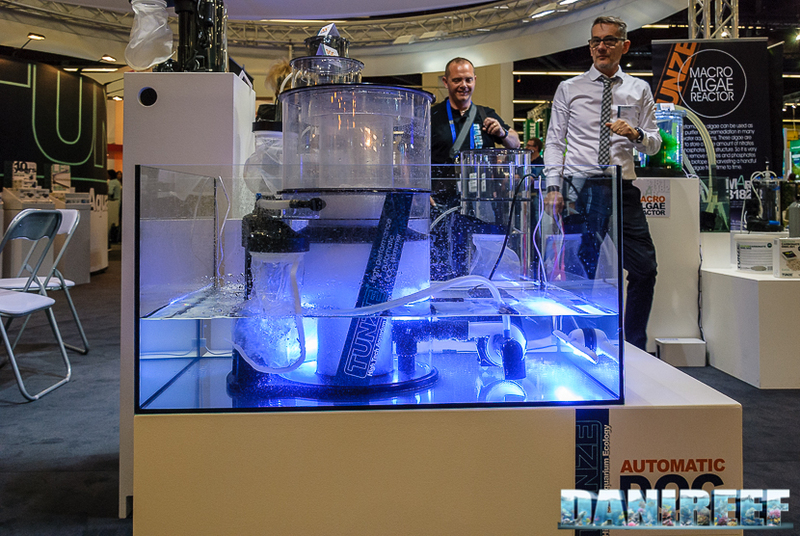 We really liked the Automatic Doc Skimmer 9460 but, considering that we don’t have an aquarium large enough to test it, it will probably remain just a dream. 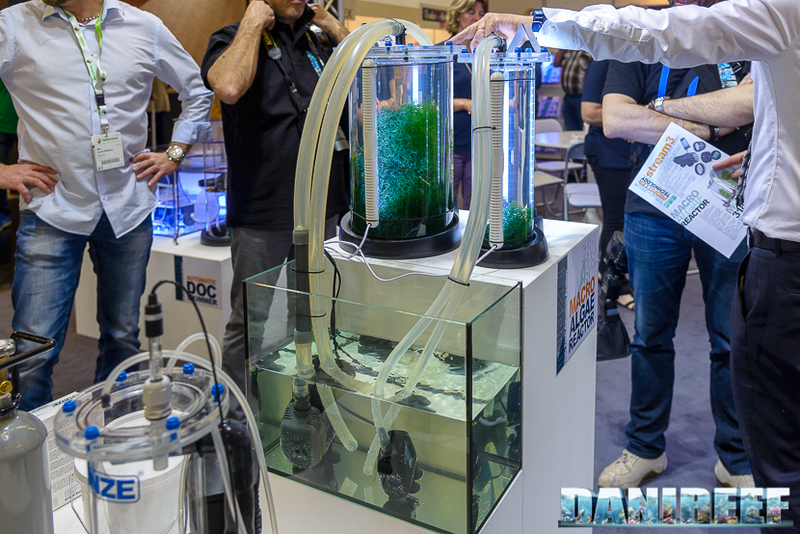 Tunze emerges in the bacteria market with a product that seems to be incredibly revolutionary. 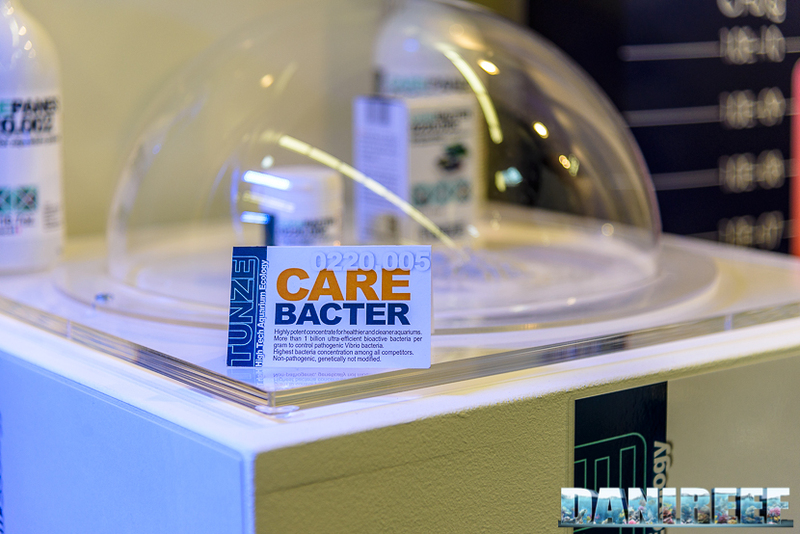 Care Bacter in fact seems to have an amount of bacteria 10 times higher than the competition. 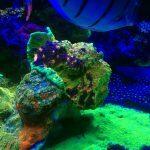 The product was visible through a bell of glass, and we’re looking forward to using it in our aquariums. And thankfully, as opposed to the enormous 9460 just seen, you don’t need an aquarium with gigantic dimensions. 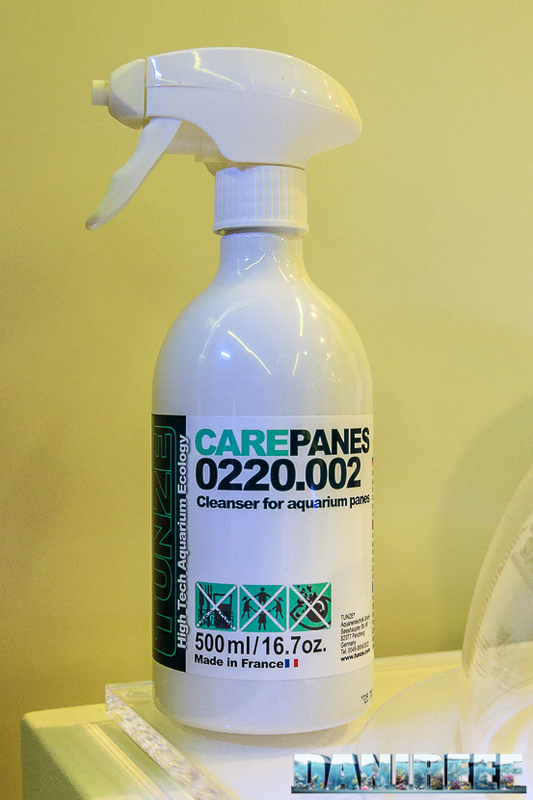 This is a product in a bottle with a nebulizer for cleaning the glass of the aquarium, but it can also be used for acrylic, metal, or any other material our system is made of. 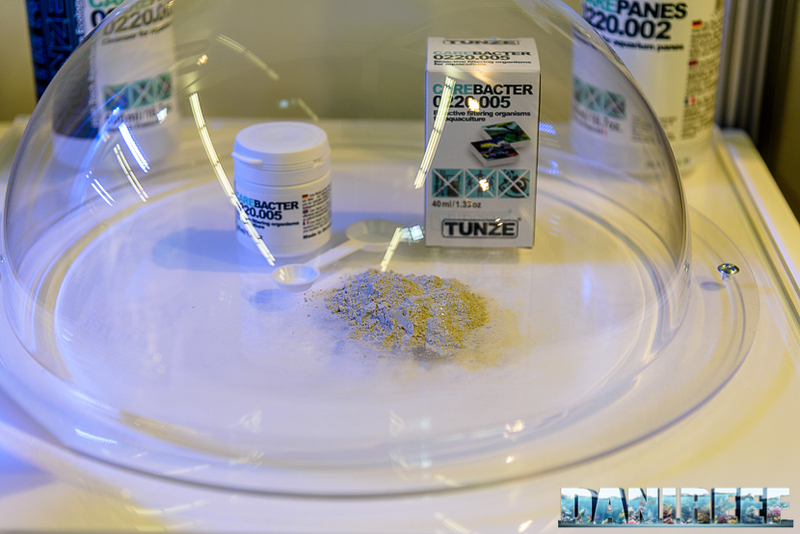 Tunze Care Panes contains a very powerful organic surfactant, 500 times as powerful as chemical surfactants, that can massively act on materials. The product isn’t toxic, as you can see from the absence of the symbol on the package. 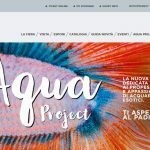 It’s good to know that the materials used for both the package and the product are completely eco friendly, that is, they don’t harm the environment.